Personalise your image with themed signatures, stamps and emojis before you print and share. 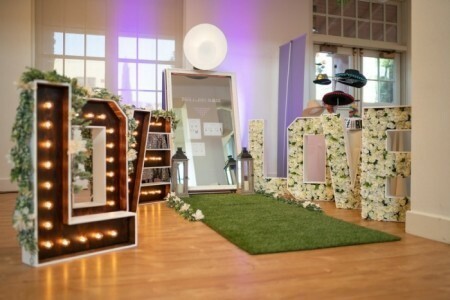 Mymagic MirrorUK is packed with more features so you can take more concepts to ... your event. 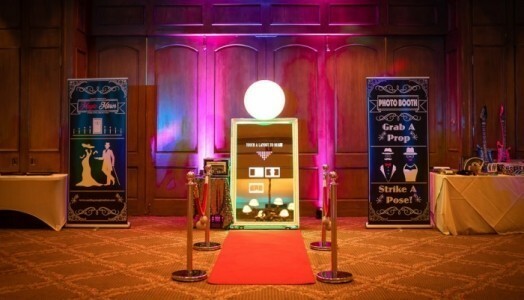 Choose from: signing your name on the mirror, greenscreen, video recording and high-quality photos GIF’s and much more. What is the Magic Mirror? •	Guests can see their reflection in the mirror. •	Animations play to guide them to touch the glass and even sign their name on the mirror! •	The hidden camera flashes behind the mirror and guests receive an instant personalised print. 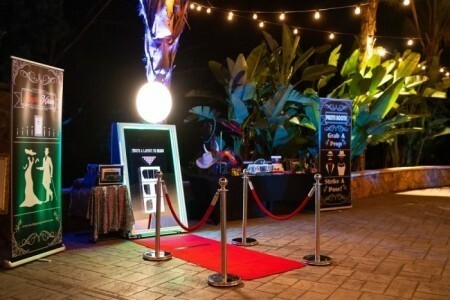 The Magic Mirror uses modern social photography to create an original photo-based experience. Using a two-way mirror, guests see their reflection, just like they would in a normal mirror. What’s different about this product is its interactive features. Once the guest activates the mirror, it will display customised messages, animations and calls to action to encourage guests to interact and pose for photos. After the photos are taken, the Magic Mirror then asks guests to sign their photos or leave a message. Images are then printed out directly from the booth for guests to keep. The mirror photo booth also lets guests toy with a range of cool features and once finished, share their pictures to social media. The Magic Mirror is both practical and stylish and can be used for a wide range of themed events. What’s great about the mirror booth is it’s 100% customisable. Plus, it has a small footprint, meaning it squeezes into the tightest spaces without compromising on interactivity. 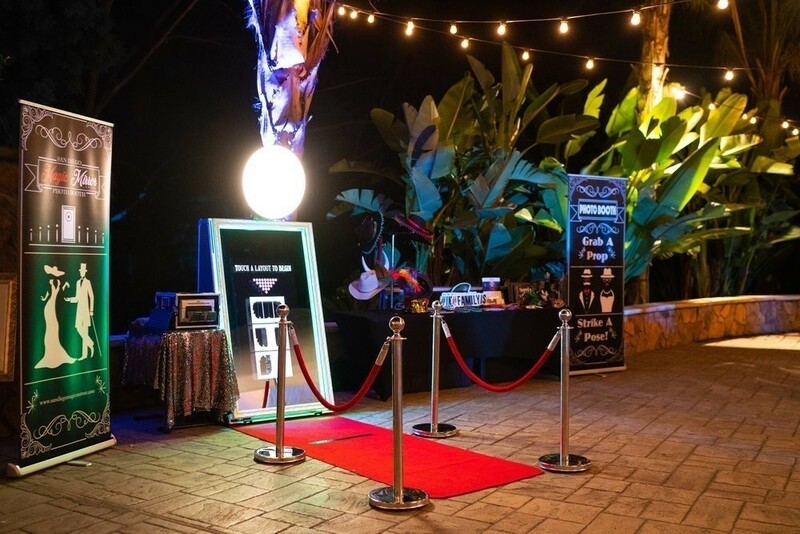 This booth is the perfect product to purchase to add sparkle to any event you are hosting – the possibilities really are endless with this unique product. MyMagic MirrorUK photo booth today and have you’re guest talking about you’re event for that unforgettable memory. We personalise the booth to suit you and your brand. 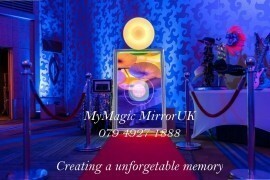 That’s what is great about MyMagic MirrorUK – we let you make the decisions. Simply decide which animations tie in best with your branding. You can even choose the best features to display on the mirror booth screen and organise which order they appear. •	NEW: 6×4 perforated prints – great for voucher tear offs and purse pockets! 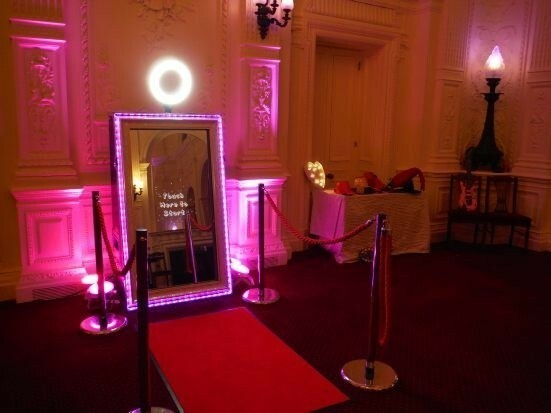 Our impressive signature feature lets guests sign the Magic Mirror and add a personalised message to their photos. The signature will then feature on all prints and can be positioned anywhere on the photo printout. Any photos taken from the Magic Mirror can easily be shared to email and social media channels. We recently hired the Magic Mirror for an evening wedding reception. We had lots of things going on during the day and so it was nice to have something different in the evening, for our evening guests to enjoy, as well as our day time guests. It was totally enjoyed by everybody and was in constant use for the whole of our hire time. Lots of our guests commented on how fun and easy it was to use. It was great for young and old. We had lots of laughs looking at the guest book provided to us at the end - all of the pictures were so funny. 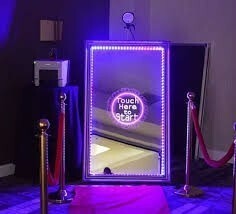 I would highly recommend the Magic Mirror to brighten up any event. Truly a Unforgettable Memory! We booked the My Magic Mirror UK on the internet without personal recommendations so were not sure what to expect but they were brilliant. The guy arrived on time, set up, was polite, helpful and as a lot of guests had never used one before was instrumental in showing us what to do. He stuck all of our pictures in the book for us and made sure people wrote comments and so my daughter now has a nice memento of her day. Will was helpful and professional throughout. He went beyond the call of duty to accommodate our needs, all for a very competitive price. His friendly manner and high quality photos were a valuable addition to the evening. We will definitely use his services again in the future. Fantastic service!! I would recommend this company to anyone wanting a warm yet professional service. Will came on time, he was polite and professional, looked smart and set up without no bother to the initial manic. He was more than willing to help when required and nothing seemed too much for him to accommodate. In fact Will seamlessly became a part of the party. Thank you Will, you're a star! 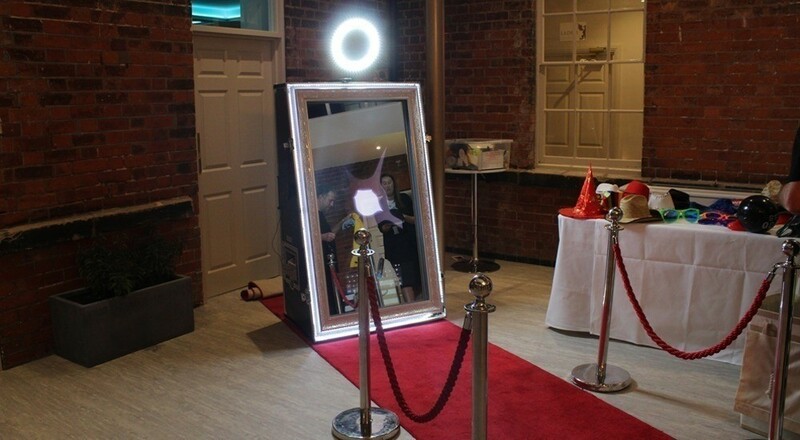 Very happy with our photo booth magic mirror booked for our wedding reception October 2018. The member of staff was professional and very friendly and patient. Brilliant with helping the kids to use the booth. Thank you for providing an outstanding service and making our party one to remember. I would highly recommend My Magic Mirror UK. Literally anything just ask us and we would be happy to provide our services.